girls can be loud too. 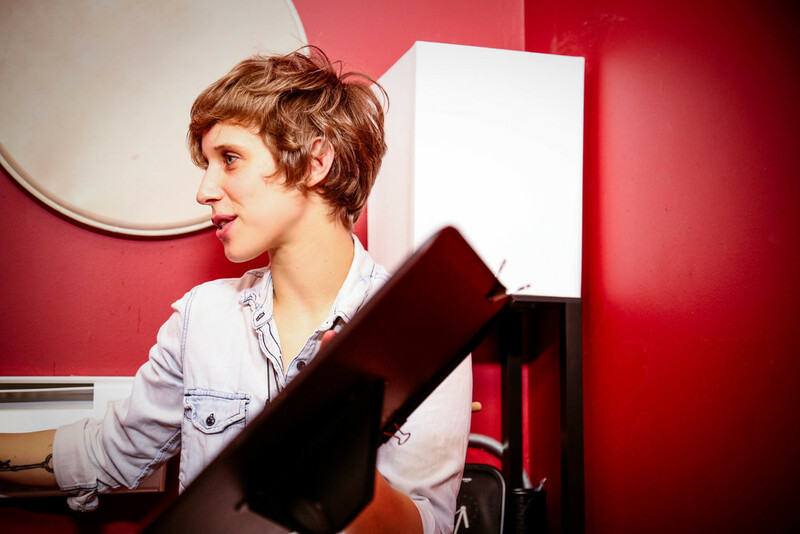 As one of the few female drum teachers working in Brooklyn and NYC, Mickey Vershbow specializes in teaching drum lessons to women and gender non-conforming students of all ages (men are welcome too, of course!) who want to learn to play drums in a supportive, non-competitive environment. Whether you're a beginner with no previous experience in music, an intermediate looking to take your playing to the next level, or an advanced student interested in expanding your vocabulary and focusing on specific skills, Mickey will design a personalized lesson plan and practice routine to keep you inspired and moving forward. Want to check out Mickey's studio in person before signing up? Book a FREE 15-min trial lesson to get started! Mickey's studio, conveniently located at Danbro Studios in East Williamsburg, is equipped with everything you need to take your playing to the next level. Mickey's studio is equipped with a Gretsch Brooklyn Series 4-piece kit and a Tama Starclassic 5-piece kit, as well as a wide range of cymbals and hand percussion. The studio is also stocked with a collection of guitars, microphones, and a PA system so students can experience the feeling of playing MUSIC with other instruments. Whether you're looking for technical exercises, song transcriptions, play-alongs, grooves for specific genres, drum-line rudiments, methods for expanding vocabulary, or ideas for strengthening creativity and songwriting abilities, Mickey's collection of drum instruction books provides a wealth of endless resources for improving your drumming skills. Wondering how one goes about practicing drums in NYC? Not to worry. Mickey's studio is available for students to rent for individual and/or band practice sessions. There are also several solutions for practicing in your own home, such as practice pads and electronic kits. Not to mention the many other hourly rehearsal studios with convenient locations around the city!